slideshow .:. Every year in April, Milan, the Italian capital of design, hosts the Salone del Mobile, an international fair on home furnishings attended by some 2,000 exhibitors and 650 young designers, who come from around the world to display the latest tendencies in the furniture industry. .:. The Salone is held in the new Fiera at Rho-Pero and is complemented by the International Furnishing Accessories Exhibition, Euroluce, Workplace3.0 and the new S.Project section, this year. .:. The fair is traditionally reserved to trade people, but you can visit the SaloneSatellite (entrance is free), a breeding ground for selected young designers. .:. During the "Design Week", however, the whole city is a sort of non-stop event. Day by day information about the number of special events taking place in showrooms and stores around town are provided by trade magazines like Interni. Also visit the Fuorisalone guide. .:. 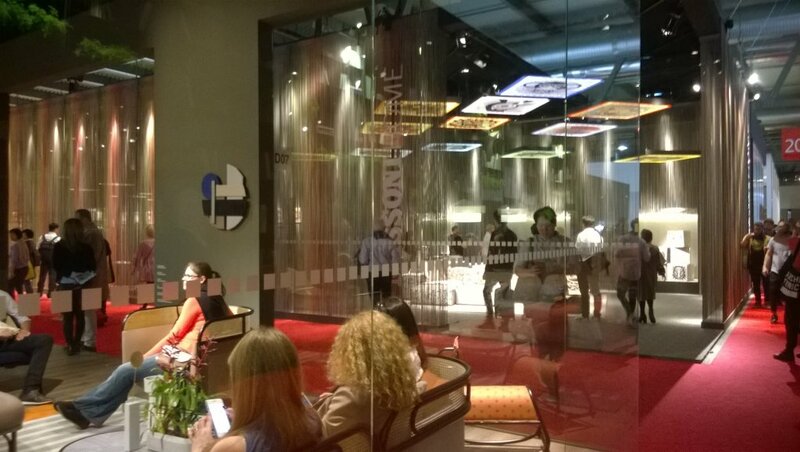 Pictures of the 2018, 2017, 2016 and 2015 iSaloni can be found among the CiaoMilano Flickr albums.